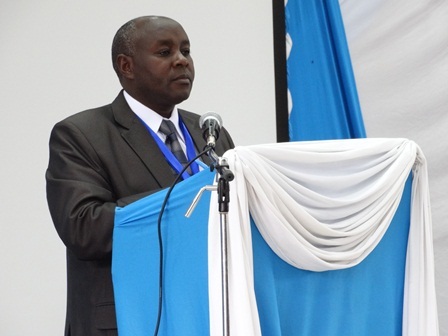 The 2nd AFRICE International Conference took place at the University of Nairobi, Kenya Science Campus on 18th and 19th June 2015. The conference was organized by AFRICE in close collaboration with the Department of Educational Foundation; College of Education and External Studies, University of Nairobi. The steering committee was headed by Dr. Lewis Ngesu, Dr. Daniel Gakunga, the newly elected President of AFRICE was the conference convener. This year, the main theme of the conference was ‘EDUCATION IN AFRICA: REFLECTIONS BEYOND 2015 MDGs-COMPARATIVE PERSPECTIVE”. This is in light of the fact that the world educational agenda in the last decade was geared toward the attainment of Education For All (EFA) as well as the attainment of the Millennium Development Goals (MDGs). The conference brought together over 120 participants from around the world to share their experience, knowledge and debate on issues affecting education in Africa. Countries represented in the conference include; Kenya, Nigeria, United States of America, Canada, Australia, Rwanda, Tanzania, Norway, India and Sierra Leone. The Participants were mostly researchers, educators and scholars. The 2- day conference was structured around 2 Keynote plenary presentations and about 20 facilitated sessions held in separate break away rooms. A total of 65 papers were presented and discussed. AFRICE intends to integrate the international and comparative studies on Education with historical, interdisciplinary and cross-cultural approaches. The African macro-region, in fact, is uniquely rich with historical events which in many ways affected the destiny of the educational institutions not only in Africa, but also, in the Diaspora and the entire world. One can argue that, many old circumstances with new ones are there to influence the shape of the current and future different school systems in Africa. Experts, scholars and researchers from around Cameroon, Africa and the world at large, were gathered at the Amphitheatre 700 of the University of Yaoundé I between March 1st and 3rd 2013. The conference participants were thrilled with the rich academic menu of over thirty (35) carefully selected papers on “Old and New Slaveries: What do the Schools Teach Humankind?”. The debates on the various aspects of old and new slaveries were exciting and challenging.